As my brother wrote in the eulogy read at her ceremony: In a world where people are consumed with what others think of them, Gram always seemed more interested in simply being herself, consequences be damned. Gram and I, 3 years ago. 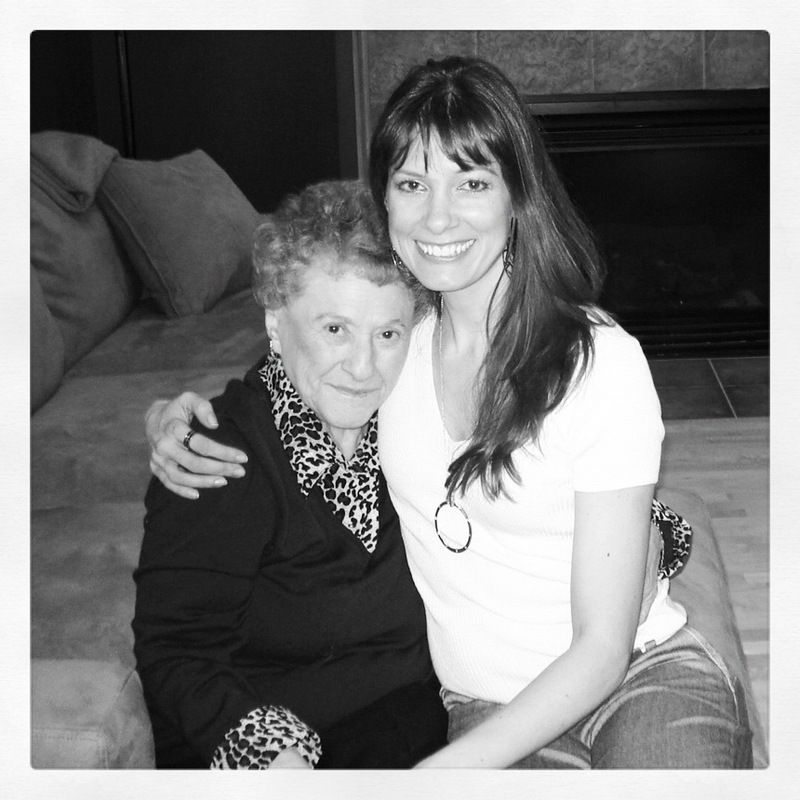 . . she was starting to become the “Incredibly Shrinking Gram” as we lovingly joked. 4. Always laugh. Gram innately knew that laughter is the best medicine. Also from my brother’s written eulogy: It was her silliness that made her so much fun to be around and kept you wondering what she would say next. ALWAYS armed with a good story–the details of which would change slightly with each telling–it seemed Gram’s mission in life to make people laugh. Let’s just say that if Gram were at a party in which any of my friends or significant others were present, I had to be prepared to be embarrassed – either from a story Gram would tell about me; or simply from a story Gram would tell. Period. 🙂 We can hear her laugh now!! Loudly I might add – she was a loud person. 5. Do what you got to do to make yourself feel better and move on. 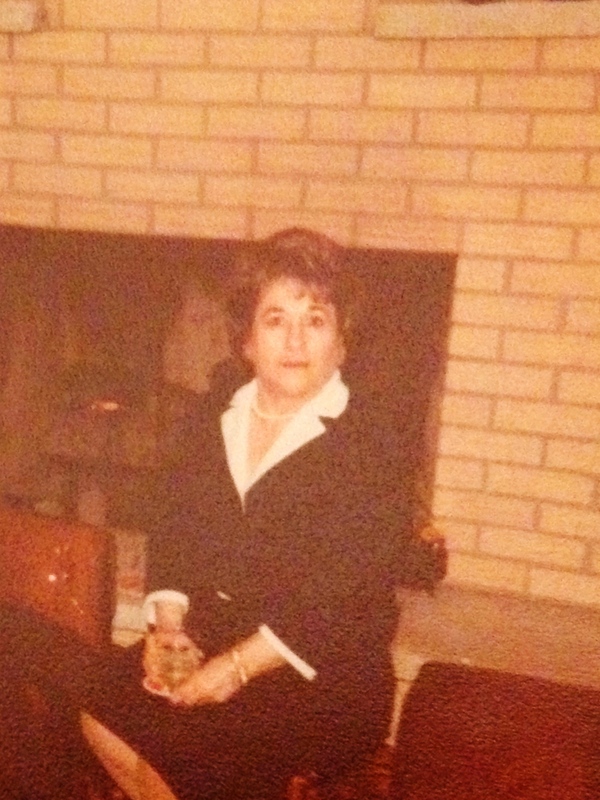 My grandmother was never one to hesitate to do things to make herself healthier or happier. She walked A LOT. She took a bath every single night. She made sure she ALWAYS got plenty of sleep. She slept A LOT. She read many books (refer to the little Shakespeare books I found recently in her home, posted on my Instagram). I recall her subscriptions to Reader’s Digest, Good HouseKeeping, and Ladies’ Home Journal . . . all of which she would read cover-to-cover. She watched the news avidly. She viewed many movies and was an old movie trivia queen. 6. It’s never too late to find the love of your life. She found the love of her life at age 70!!!! This was years after my grandfather passed away. (sadly, my grandparents stayed married but were not truly compatible.) Yes, she found her Joseph at a Democratic party she was working at. We even called him “Grandpa Joe.” They had five wonderful years together before he passed away of cancer – but, in talking with her, one would think she spent her whole life with him the way she always talked him up. It was love so many of us wish for!!! I still remember their little wedding. 7. Say “I love you” every time you see a person you love. I’m getting better at this – Gram ALWAYS said I love you at the end of every conversation. 8. Be strong. This is a woman who lost her only child – my father – when he died suddenly of a heart attack at age 37. She held her head high (literally) through that tough time and even managed to throw laughs in here and there. My mother just recently recalled something my Gram told her at my father’s funeral, “If one of you had to die, it’s better for the children that it was my son rather than you.” WOW!!!! Gram, I know you are happy and peaceful now at “The Happy Hunting Ground” . . . as you used to refer to it, reuniting with so many open arms welcoming you: you survived your two brothers and three sisters (whom I also loved dearly!! ); you survived two husbands; you survived your son. You will never be forgotten. You were such an integral part of this family. I love you. Great site BTW. Re: healthy lifestyle, I have been a gym attendee for 35 years on and off and I’m looking forward to the next 35! What is your opinion of the J .E .R .F .DIET?